Social networking sites have become more visual, this is especially true with Pinterest. Unlike Facebook and Twitter, which rely on content from a network of friends and followers, Pinterest focuses on the “interest graph” and is made up of people who gather around topics of interest rather than relationships. According to some reports, Pinterest offers more marketing potential than other social networks. It helps in driving more traffic to websites than Twitter, LinkedIn, Google+, and YouTube .Here are 10 ways e-commerce businesses can use Pinterest more effectively. Businesses that wish to join Pinterest should set up a business account. 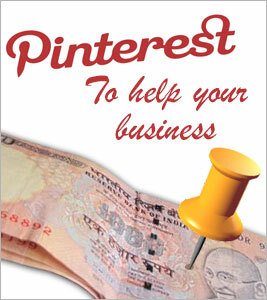 Provide complete information about your business, and agree to Pinterest’s terms of service. Verify your website to show Pinterest users that you are a trustworthy source. Pick a profile image such as a logo that helps people easily recognise your business. Include a short description to introduce your company’s interests to Pinterest users. Create a variety of boards that show off your brand’s personality and taste, and add enough pins to make each board feel substantial. Pinterest suggests that, prior to starting to pin, you consider what users care about and tailor your strategy to address them. Images that are at least 600 pixels wide look best and only images that are at least 100×200 or 200×100 are pinnable. Contests are great promotional tools and Pinterest offers the perfect medium for running a contest. If you are just starting out on Pinterest and you want to get some ‘likes’ and followers quickly, then running a contest might be the perfect solution. Pinterest recently created a new type of product-related pin called “Rich Pins” that includes detail like pricing, availability, and where to buy. Infographics are a great way of raising engagement and follower numbers on Pinterest. Among all your pins and re-pins, some original content–especially educational content–will give you an extra edge. And since Pinterest is mostly visual and image-based, infograhics are the perfect solution. The more people pin your content, the more discoverable it becomes. To encourage more pinning, add Pin it buttons or widgets to your website, and promote pinning on social networks and in email newsletters. Pinterest is undoubtedly most popular among women, but has a wide reach as women tend to share more. Before you start pinning identify what service makes sense for your business and clearly define marketing objectives. To activate your Pinterest contact us now.